Humanitarian psychiatrist Dr Lynne Jones will reflect on 25 years of establishing mental health programs in humanitarian emergencies. Dr. Lynne Jones is a child and adolescent psychiatrist, writer, researcher, and relief worker. Jones has been engaged in assessing mental health needs and establishing and running mental health services in disaster, conflict, and post-conflict settings since 1990 around the world. 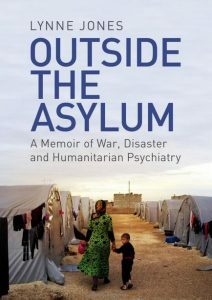 Outside the Asylum: A Memoir of War, Disaster and Humanitarian Psychiatry, her latest book, published in the US in 2018, explores her experience as a practicing psychiatrist in war and disaster zones for 25 years, along with the changing world of international relief. 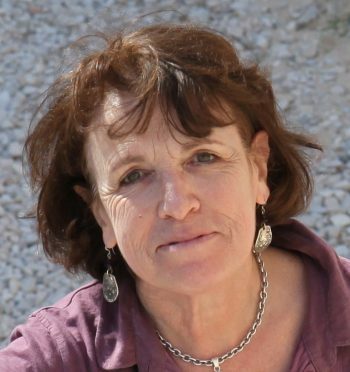 Harvard FXB has been publishing her reflections on her current work with migrants in Europe and Central America on our website. With her colleague in international development, Luke Pye, Jones has also co-created Migrant Child Storytelling, a website where migrant children can tell their stories through their own drawings, videos, and writing. Until August of 2011, she was the senior technical advisor in mental health for International Medical Corps. She is a course director for the program on Mental Health in Complex Emergencies at the International Institute for Humanitarian Affairs, Fordham University, and consults to the World Health Organization. She was a member of ICD 11 stress disorders working group, and is a technical consultant in the development of the mhGAP curriculums by WHO and UNHCR. In October 2013 the new edition of her book, Then They Started Shooting: Children of the Bosnian War and the Adults They Become, was published by Bellevue Literary Press. She has a PhD in social psychology and political science; she has also been a Radcliffe Fellow. In 2001, she was made an Officer of the British Empire (OBE) for her mental health work in conflict-affected areas of Central Europe.